C&IT has opened the voting for its fourth Hot List, celebrating the best UK and overseas venues, destinations and suppliers for the events industry, as voted for by readers. Take part in our short survey now for the chance to win an amazing stay for two at Bowood Hotel, Spa & Golf Resort in Wiltshire. Categories in The Hot List include Top Conference Destination, Top Incentive Destination, Best Unusual Venue, Top DMC and Best Sustainable Venue. Voting for The Hot List will close on 7 September. Don’t miss out on your chance to be entered into our prize draw – have your say now. 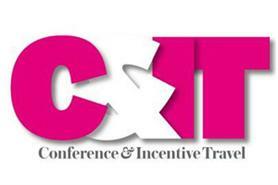 The Hot List 2012 will be published in the October issue of C&IT and on citmagazine.com. Find out who topped last year’s Hot List. HAVE YOUR SAY: Is New York still the best incentive destination?